Scribing and sketchnoting help people to uncover new ways of seeing things. And that's why scribing proved the perfect way to promote The Age Friendly Museum Network's alternative view of ageing at the British Museum. By 2020, it's predicted that over 65s will outnumber under 5s. 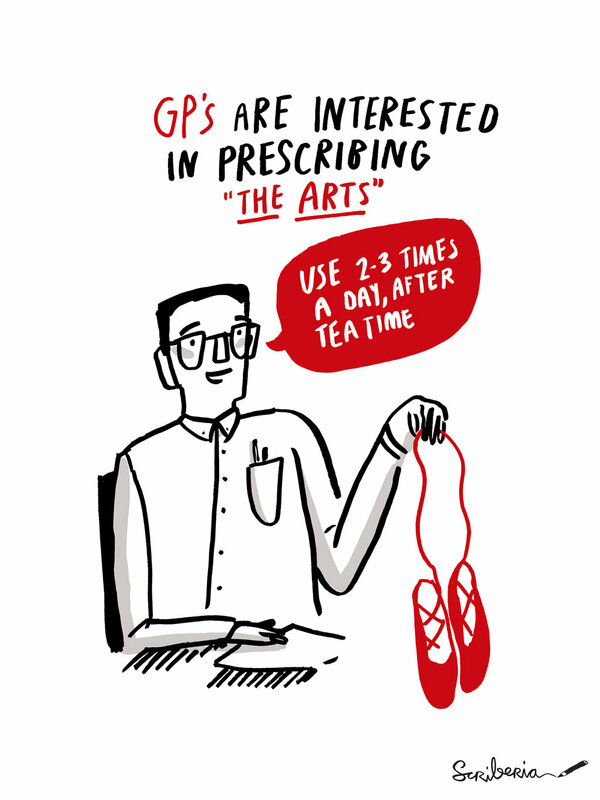 If we're to adapt to the changing shape of the UK's population, it's essentially that we build a healthier culture around ageing; a principle at the very core of The Age Friendly Museums Network (AFMN). The AFMN believe that museums and older people enrich one another, and they host events across the country to promote a healthier attitude towards ageing. Their latest event was a cross-sector conference at the British Museum, where our scribes, Jess and Fiona, were asked to visualise the day with a set of sketchnotes. The session asked a number of important questions: Why do age-friendly museums matter? 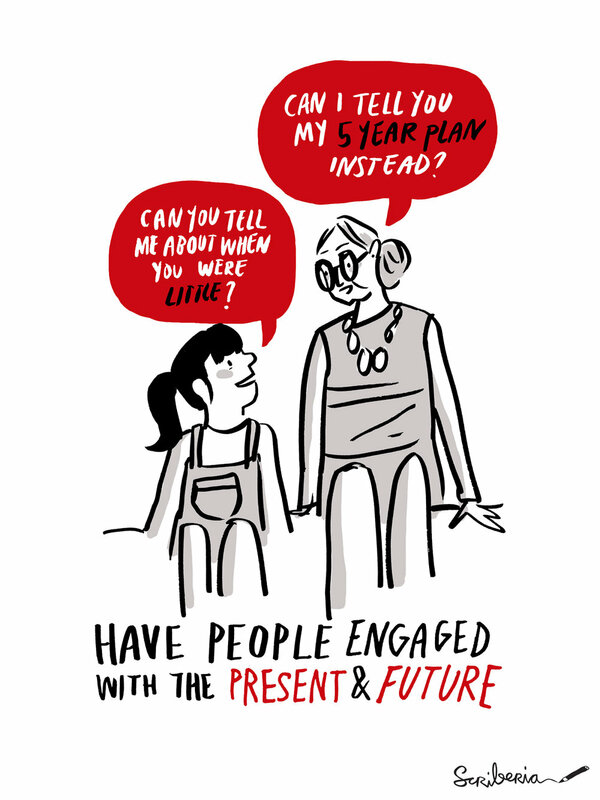 And how should museums engage with age-friendly communities? They then discussed how museums can support those living with dementia and stroke survivors, and explored the relationship between creativity and ageing (positive correlation, we say!). It's safe to say our sketchnoting-duo made quite the impression on the day. Their sketches reached a fever pitch on Twitter as attendees tweeted and re-tweeted live from the event. 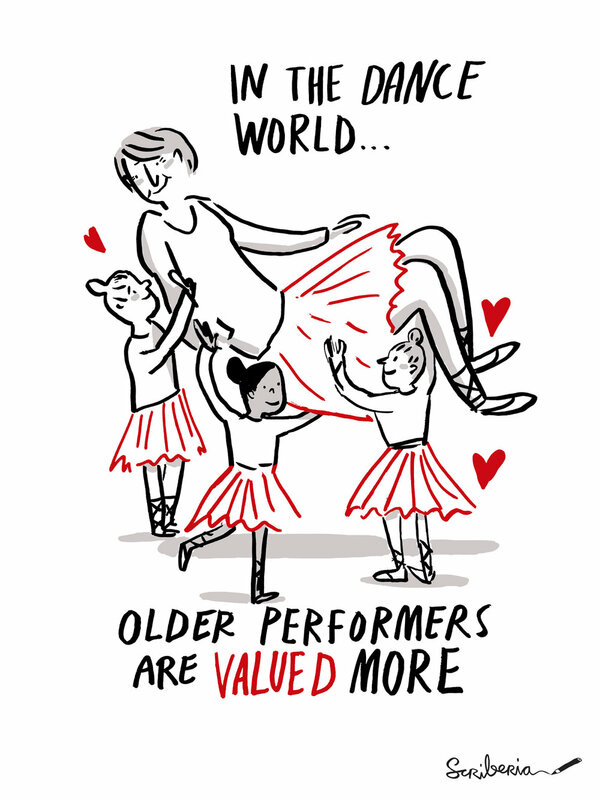 Our sketchnotes seemed to fit the bill perfectly, providing a truly alternative way to represent ageing. Older PostA team portrait: Just Like That!